W2 Mate, the W2 1099 E-file software, gives QB users an affordable solution for IRS electronic reporting of QuickBooks 1099 and W-2 tax forms. The tax software can e-file QuickBooks 1099’s with IRS FIRE System & W2’s through SSA EFW2 format. “The QuickBooks import wizard that ships with W2 Mate is one of the most sophisticated, yet easy to use QB import utilities available in the industry. W2 Mate directly connects to QuickBooks and extracts the information needed to print and electronically file QuickBooks 1099s and W2s.” says W2 Mate product manager Nancy Walters. If your vendor 1099 information or employee W-2 information resides inside QuickBooks and you are looking for a 1099 software to prepare your QuickBooks 1099 forms or W2 forms then W2 Mate is definitely for you. 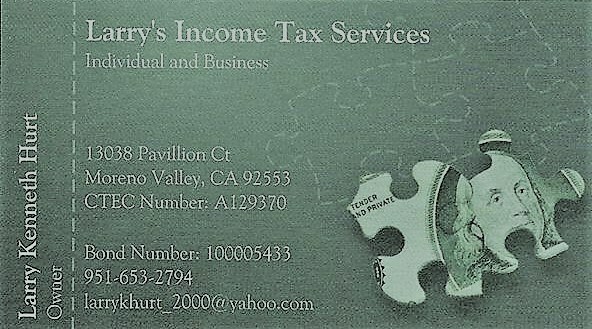 Once the 1099 tax data is inside W2 Mate, the user can print recipient copies, generate recipient copies as PDF (to be emailed), print 1099 Copy A for the IRS, print 1096 transmittal for the IRS, or e-file electronically through IRS FIRE system. On the W-2 side, once the data is imported from QuickBooks, the user can print employee copies, generate employee W2’s as PDF (to be emailed), print W-2 Copy A for the government, print W-3 transmittal for the SSA, or e-file electronically by using the EFW2 format. Interested QuickBooks users can download our free 1099 software demo and see for themselves how easy it’s to print and e-file QuickBooks year-end tax forms. W2 Mate, 1099 electronic filing software, allows business filers and accountants to meet IRS 1099 E-File requirements by providing a powerful solution for electronic reporting of 1099-MISC, 1099-INT, 1099-DIV and 1099-R.
Real Business Solutions (www.RealTaxTools.com), the maker of W2 Mate W-2/1099 filing system, reminds businesses and tax professionals of the 1099 electronic filing due date, which is March 31, 2010. W2 Mate, 1099 electronic filing software, is packed with features that make it easier than ever to create, print, import, process and e-file 1099 forms. “1099 Electronic Filing is a chore, but it doesn’t have to be. This is why we built W2 Mate. A powerful, yet very affordable,1099 software that takes the complexity out of year-end-reporting by providing the right tools to E-file W2 forms with the SSA and E-File 1099 forms with the IRS” says W2 Mate product manager Nancy Walters. Meet the 2009 / 2010 1099 electronic filing deadline. Download W2 Mate and e-File 1099s in minutes.